Ostomy surgery is difficult to contemplate, but it improves the lives of many people with inflammatory bowel disease (IBD) and other conditions, and in fact, saves lives as well. An ileostomy or a colostomy requires special care after surgery. 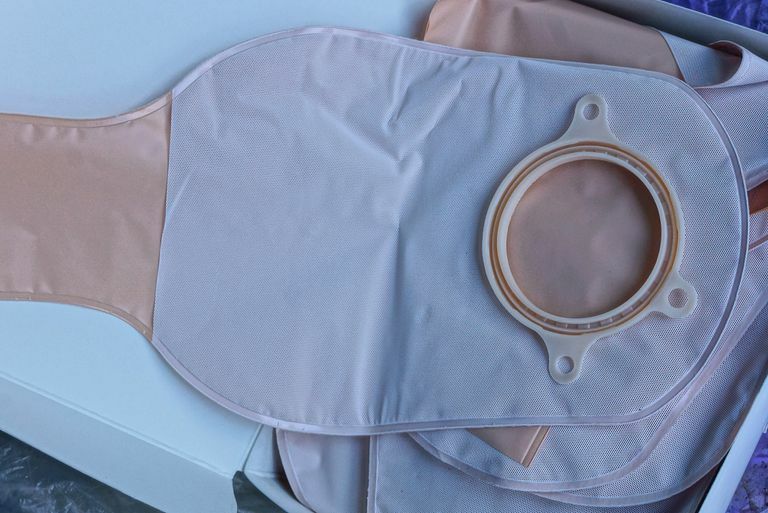 There are many types of ostomy products on the market today, and every person with an ostomy will probably use a different combination to get the right fit and to protect against leaks. However, there are a few commonalities, and the basic instructions on how to change an ostomy appliance will apply to most situations. Check with your enterostomal therapy (ET) nurse about any specific questions you have on changing your appliance, or for some tips and tricks. Here are the supplies and steps involved with changing an ostomy bag. Choose a time when your stoma is not active, such as first thing in the morning. Empty your ostomy pouch as normal. Wipe the tape surrounding the old wafer with the adhesive remover. Hold your skin with one hand, and gently pull wafer off with the other. Use adhesive remover as needed. Put the old pouch, wafer, and other waste (not the clip) into a plastic bag for disposal. Sealable sandwich bags work well. Clean the skin and stoma with a washcloth and warm water. This is best done in the shower, but don't use scented soaps, as they will leave a film. While in the shower, any waste coming out of the stoma can wash down the drain. Pat your skin dry. Measure your stoma with a measuring guide. Leave only 1/8" to 1/16" between the measuring guide and the stoma. Trace the correct size onto the back of the wafer with the starter hole in the middle. Cut out the hole. Apply skin protector to the peristomal skin where the wafer will be. Peel the paper from the wafer and apply the stomahesive paste around the cut circle in the wafer. Smooth it out with a wet finger (the water will help to keep it from sticking to your finger). Remove the paper backing from the tape, and apply the entire appliance over the stoma. Make sure the stoma is in the center of the hole. Press firmly and smooth wrinkles. Snap the new pouch onto the wafer, and give it a small tug to be sure it's in place. Press gently on the wafer for a minute to help it get a good seal. Close the bottom of the bag with the clip. Stand over an old towel or some paper towels when changing bags to catch any waste from the stoma. Don't eat late the night before a change. That way, stoma output will be less. Some bleeding is normal when touching your stoma, but report any unusual color, size, shape, or bleeding to your ET nurse. Try different products. Call your ET nurse or ostomy supply companies to ask for free samples. You may have to shop around to find what works for you. Always follow any special instructions provided by your healthcare professional. This how-to is only a guideline.